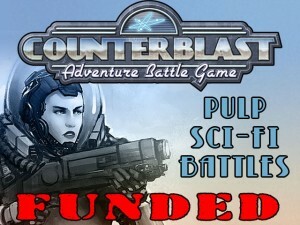 Airlock Games rebooted their Counterblast Kickstarter and have reached their funding goal. So it's on to stretch goals for the next 24 days. Counterblast is an adventure battle game set in an alternate Earth future past where humans join forces and technologies with several alien species to protect freedom throughout the Milky Way galaxy, particularly a region of space known as the Outer Reaches. Did you Forget to Feat?